Constantly chasing sales can be hard work and seemingly never-ending, as well as being expensive. It can be difficult to know where to start and the most effective way of doing it. 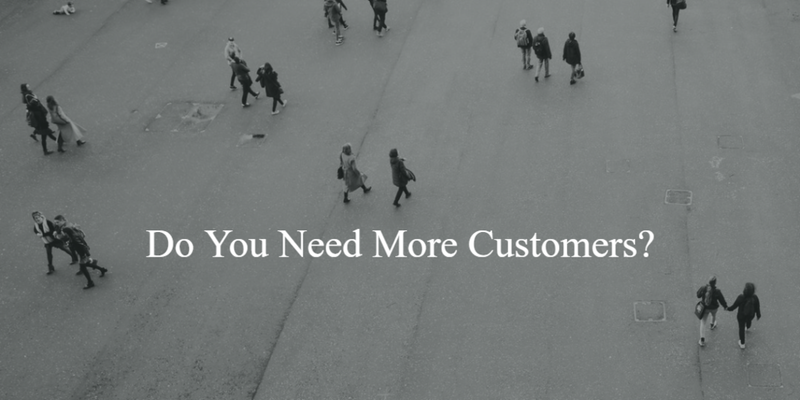 But we all need new customers and to get those customers to remember us, it’s just a part of business. But when funds are tight, and cuts need to be made it is often the marketing budget, that is the first thing to be trimmed. However, this is often counterproductive as marketing is probably something that will actually create revenue. If you do not market, how will people know how to get in touch with you and what you have to offer? There are many ways to go about this, from networking face to face, through to online ads, direct mail and print. All of these can be effective, but by far the most effective are promotional products. A survey from the BPMA shows that people are 31% more lightly to take action after receiving a promotional product than they are from TV ads, direct mail, print or online ads. At the end of the day, action is what we are looking for and there is probably not a lack of business, just a lack of people remembering you. It is important to see promotional products as an investment rather than just a cost. As done correctly, using promotional products in your marketing campaigns will actually generate money, rather than costing you money. Think about how much a client is worth to you. You can then calculate how many clients you will need to gain from your marketing campaign and at which point you break even and at which point you start to make money. When choosing a promotional product, go for quality, as this will create the best impression. If the pen falls apart in a few minutes, it will just end up in the bin. So, try to resist the urge to go, as cheap as possible. By spending just a little more in a clever way will make a huge difference to the impression you give out. Think about where the promotional products are going to and what the people there, will find useful. For example, you could give away mini mints at a conference. Which are really useful, when you are talking to lots of people. Everyone likes to be minty fresh. For a workshop or in the office, a USB stick is always useful and something that is guaranteed to stick around for a long time. We even have encrypted sticks to help with GDPR! There are lots of options and we can help you to find out what will work best for your target market and what will fit in with your business. So, remember to go with what you can afford and not the bare minimum, you can get away with. Think about products which are useful and will make people smile. Look for products which tie in with your business. If you would like to know more click below and fill in your details. We will be happy to give our expert friendly advice.